Calculator for ESR measurements. 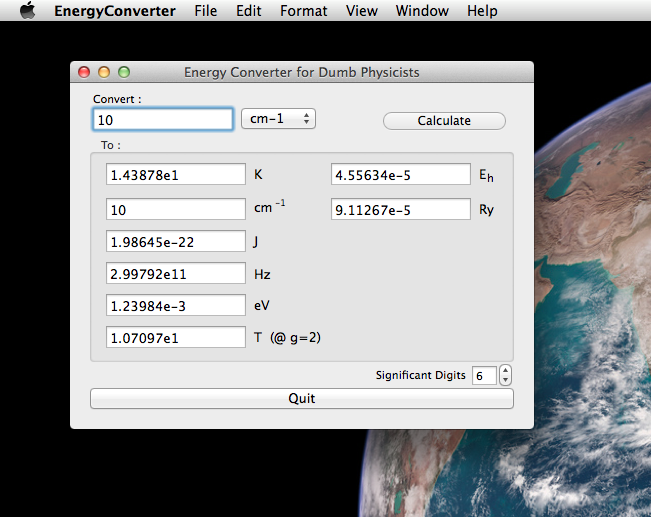 Calculates the g-Value from the frequency and the resonance field. Version2.0 of the g-Value calculator for Dashboard. More compact than its predecessor. Preference setting at the rear panel. Copy your result to the clipboard with shortcut "command+C". Requires Mac OS X 10.4.3 or later. g-Value calculator for Dashboard. Calculates g-Value from frequency and resonance field. Requires Mac OS X 10.4 or later. 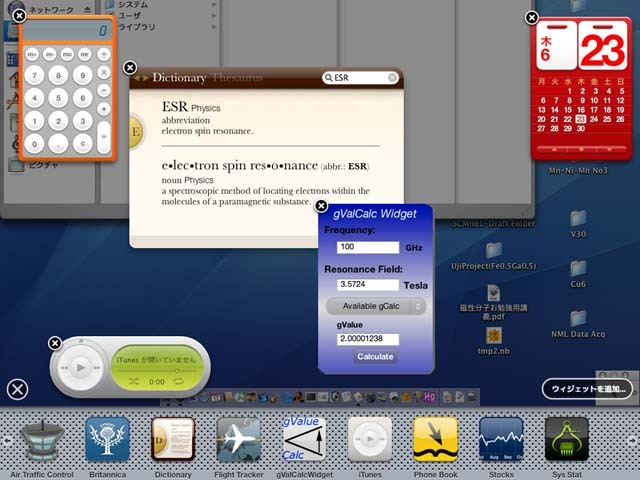 g-Value calculator for Mac OS X. Calculates g-Value from frequency and resonance field. 3 software bundle of gValueCalc, Real Resonance and Real Frequency. For high-field ESR. A high-field ESR software that calculates the g-Value. A high-field ESR software that corrects the exact resonance field from the DPPH marker.